I’ve been really looking forward to attending cooking school because I love food and because everyone (mostly not Australian) always asks me what IS Australian cuisine and I can finally solve the mystery once and for all!! Spring Brisbane is a restaurant that also offers several cooking classes such as ‘The Mighty Macaron‘ and ‘Dude Food‘ but tonight, the Brisbane International Student Ambassadors and I took part in the ‘In the Kitchen Down Under” Australian cooking class. Spring Brisbane is a classy restaurant that serves breakfast, brunch, high tea, bar food, lunch, and dinner. It is located on Felix Street which is right next to the Riverside area. Upon walking in the front doors, the staff so kindly offered me a glass of bubbly! The entire restaurant is gorgeous and I tried to capture all the details below. Chef Mark Wright introduced himself to us and told us that we were going to learn how to make kangaroo meat pies, beef and mushroom meat pies, pavlova, and damper! You can definitely visualize the first two items and have probably eaten a meat pie. They were so much fun to make and I wish that I could make them more often but they are quite labor intensive. It’s important that the pie crust is the right size and square-shaped. In addition, the meat filling should make up 80% with the sauce making up the remaining 20%. In some meat pie shops, they have a 50/50 divide which might be businessman recommended but not Chef Wright recommended. Make sure the pie is 80% meat filled! Then top it with a circular piece of dough. My kangaroo meat pie is ready for baking. Here’s my beef and mushroom pie! Our beef and mushroom pies! What is pavlova and damper!? Pavlova is a meringue-based dessert named after the Russian ballet dancer, Anna Pavlova. It has a crispy crust that is soft and light inside that is topped with chantilly cream and fruit. A little fun fact to know is that how pavlova is pronounced is actually not the same way that the ballet dancer’s name is pronounced! We made several of these but it’s important that you shape the spoonful of meringue into a nice round shape. Then, aim to smooth the sides and top of the pavolva. You want to create a peak around the edge of the pavlova in order to add cream and fruit toppings later. These could be the death of me. The girls and I having a blast creating our personalized pavlova bites! Damper is also known as bush bread and is often made when camping out in the bush. The ingredients are simple: self-raising flour, salt, butter, and water. Chef Wright told us that we have to eat damper while it’s hot and fresh as it becomes hard as a rock the next day. 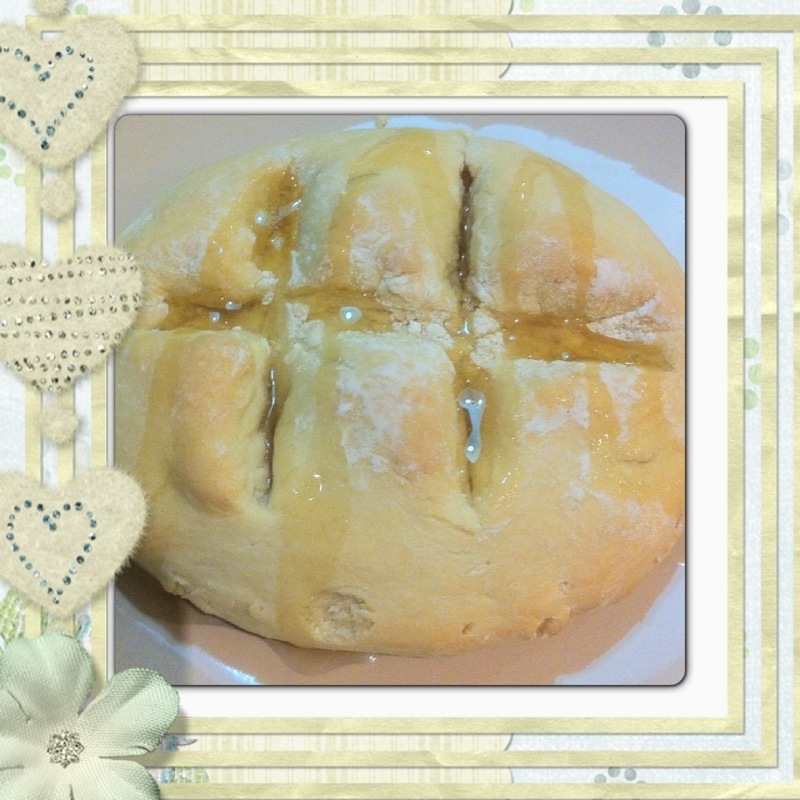 I think that the consistency is similar to a scone except not sweet so I added honey and jam the next morning after I re-heated mine in the oven. What’s really cool about Spring Cooking is that if you book with twelve friends or more, you can book the entire room and choose any of the twenty-five class options. Since you’re using various cooking utensils, you must wear closed in flat shoes to the class. Then, once you arrive, you get to wear an awesome Spring Cooking apron and take home a recipe booklet of everything you learned as well as takeaway something you made. Chef Wright was fantastic and made every step of learning how to make Australian cuisine fun and entertaining. 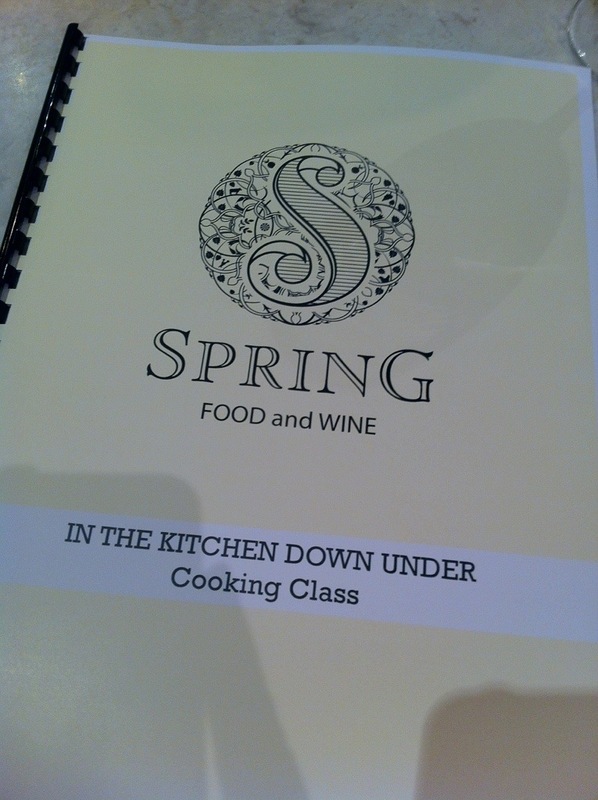 I would definitely recommend making time to visit the Spring Cooking School while living in Brisbane. If cooking is not your thing, you can definitely enjoy their delectable cuisine and just dine in any given day or night. Everything is made in-house!